Uber, Lyft must wait until fall 2019 to operate in B.C. More than 200 North American airports, including Ottawa, Montreal, Edmonton and Calgary offer full ride-hailing services. VANCOUVER — The British Columbia government says it will ease into allowing ride-hailing services, such as Uber and GM-backed Lyft, laying the groundwork for new rides to enter the market as early as the fall of 2019. In the meantime, Transport Minister Claire Trevena said the government plans to increase the number of taxis on the streets and allow flexible fares for existing taxi firms that arrange rides using apps. The idea is to ensure the existing taxi industry is ready and able to compete on a level playing field when new players are introduced, she said. Allowing ride-hailing services by the end of 2017 was a promise the NDP made during the last election, but Trevena would not commit to a new deadline during a news conference Thursday. "I know that people are looking for expanded transportation options to be available very soon and I want to reassure them that a lot of work is happening to get this accomplished, but it is important that we get this right," she said. The government said it expects applications from firms to be submitted to the Passenger Transportation Board by September 2019, after it introduces new legislation this fall to open up the process. After it was elected, the NDP government hired expert Dan Hara to consult with the industry and stakeholders. His report, along with recommendations from an all-party legislative committee, will be used to modernize the Passenger Transportation Act. Hara's report recommends allowing existing taxi companies a one-time immediate window to increase their fleets by 15 per cent. That would mean up to 300 more cabs in Metro Vancouver and another 200 around the province, the government said. Hara also recommended giving the taxi industry the opportunity to offer discounted fares when trips are booked through an app, and funding accessible taxi services through a per-trip fee for new drivers. B.C. Taxi Association spokesman Mohan Kang said it won't be clear how effective the government's efforts to modernize the taxi industry will be until the proposed measures are in place but that modernization is essential as the industry prepares to compete with ride-hailing services. "Anything that can make us competitive is a welcome step, because if we're not competitive we can't survive," Kang said. Others criticized the government for delaying the introduction of ride-hailing services. "In our view, a better approach would be to modernize the taxi industry concurrently with bringing in ride-hailing," said Adam Olsen, Green party spokesman for transportation. "However, it is encouraging that the initial legislative steps to enable ride-hailing will be before the house this fall. There have been a lot of broken promises on this issue." A group of businesses and organizations advocating for ride-hailing services first celebrated the announcement, then reversed its position. At a news conference following the announcement, Ridesharing Now for BC member Ian Tostenson said the group was "very, very happy" with the minister's announcement, which he said represented one of the first positive steps toward ride-sharing, even if it's a cautious one. The group updated its position in a statement Thursday afternoon. "We are extremely disappointed in today's announcement. 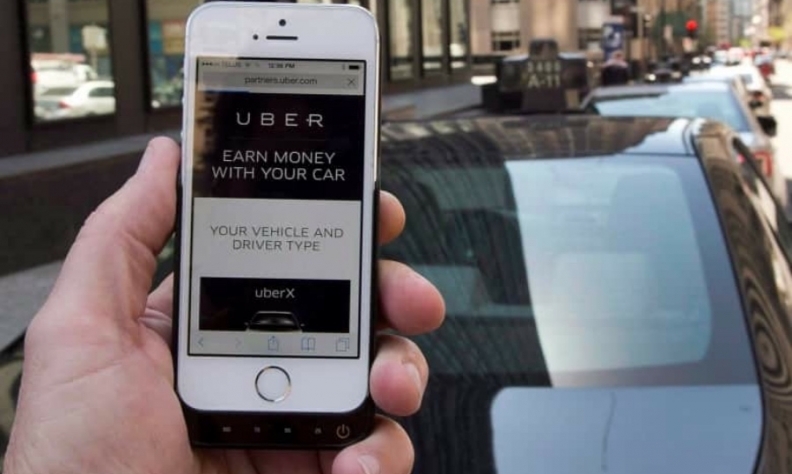 It is unacceptable that ride-sharing is going to take at least 18 months," the group said in a statement, adding British Columbians deserve the same services as some other cities in Canada.